According to a report from Deutsche Bank, electricity generated by solar power is the cheapest in Chile now. In fact, both solar and wind power there make electricity more cheaply than fossil fuels do. Deutsche Bank Equity Research North America conducted an analysis by examining PV solar projects in Chile. The research showed solar had become the cheapest form of electricity generation. For example, coal power had rates of US$85/MWh but for recent solar PV farms the rate was $65 to $68/MWh. Obviously, this is quite a difference. A concentrating solar power project came in at $97/MWh, but it also had storage. It would have been interesting to see what the rate was for one without storage, for the sake of comparison, and what form of storage is being used. $0.52/W is the price for PV modules, but that cost drops to less than 50 cents for larger projects. Still, Chile could experience one gigawatt of solar installations this year and has about 2 GW under construction. It has been said that Chile doesn’t have a renewable energy problem, it has a transmission problem, because the grid was not built in parallel to the new renewable energy installations. The thing is, technology projects often have snags that crop up and seem like deal-breakers, until they are they dealt with. Why would Chile’s transition to renewable energy be completely smooth? It’s not realistic to expect that it would be – first renewables were considered by some to be far too expensive, then there was no energy storage – but now that’s being addressed. Grids are outdated, but they can be revamped or expanded too. In point of fact, one might argue that the momentum generated by the various succcess of renewable energy is driving technological change in related industries. If solar power electricity is already cheaper than fossil fuel electricity, how much cheaper will it be in five years there? Chile hasn’t even been at it that long, and already has surpassed grid parity. This achievement is an example to us all. Kyocera wants to expand its sales in the United States, and sees opportunities in the residential solar and energy storage markets. Sales for the company fell recently in Japan, forcing the company to look at expanding into the United States. “There is growing need for energy storage in the US residential market,” said Kyocera president Goro Yamaguchi . 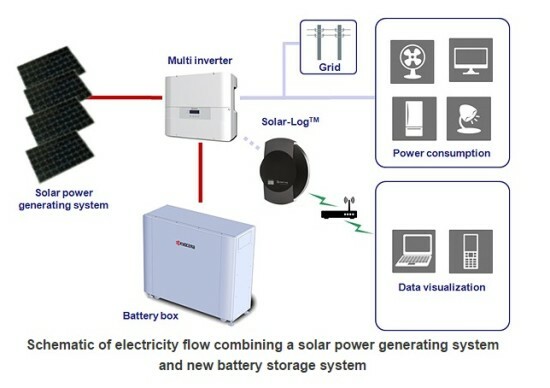 Kyocera has already partnered with the American energy storage company Stem, with the collaboration focused on commercial systems, but Kyocera has also entered the German solar power market to support residential systems. 4.8kWh and 7.2kWh energy storage systems were intended for the German residential market, so it is not unreasonable to wonder if these sizes will be available when Kyocera hits the US market. Just for comparison, the Tesla energy storage systems for homes are 7 Kwh and 10 Kwh, and they are definitely competitively priced. One report said Kyocera might target 100,000 energy storage systems for the US market, because that is the number it worked with in Japan. One might imagine California would be a good place to start trying to sell home energy systems, because it is a leading solar state. Kyocera also might bundle solar power and energy storage systems, which would probably be smart — consumers generally like convenience. Having one system to install that would cover all electricity needs would be easier than mixing and matching different systems. At the same time, Tesla might partner with SolarCity or another American solar power company like SunPower to offer its own bundled system. Either way, it will be fascinating to see what happens. Even more intriguing is the coming expansion of electric vehicles, and how they will interact with energy storage and solar power systems. For example, if you own all three, you might be able to charge the batteries fully at night when rates are low, and sell electricity back to the grid during peak times during daylight hours. Of course, you could also use your home solar system to charge batteries too. What would a payback period look like then? The environmental aspects of this situation are only one part of the equation. 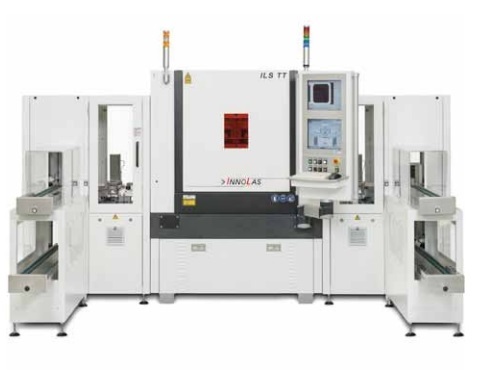 InnoLas Solutions GmbH (InnoLas) is supplying five additional ILS-TT high throughput laser machines for Passivated Emitter Rear Cell (PERC) technology to Sino-American Silicon Products Inc. (SAS) with its subsidiary Sunrise Global Solar Energy Co. Ltd. The new laser machines are for Sunrise’s high efficiency cell factory with 800 MW of yearly production, which will be operational in about two months. The InnoLas lasers help increase solar cell efficiency. “We are proud that SAS, a world leading manufacturer of PERC type solar cells, has chosen our laser systems after carefully evaluating the available options on the market. It shows that we remain the technology leader in advanced laser processing for the PV industry. Our fully automatic ILS-TT machine platform gives our customers a clear competitive edge,” explained Markus Nicht, CEO InnoLas Solutions. Sunrise has ordered InnoLas laser machines before – some were purchased in 2013. InnoLas Solutions manufactures laser systems mostly for the photovoltaic industry, but also for semiconductors, engineering and electronics. InnoLas claims one of its machines can create 3,600 cells per hour. So how big is InnoLas? In one recent year, it had US $53 million in revenue. SAS merged with Sunrise Solar in 2014 and is based in Taiwan. Sunrise is a leading solar cell manufacturer. That precision laser machines are involved in solar cell manufacturing is fascinating because they are not exclusive to the solar industry. They are part of a number of different manufacturing endeavors, which means they are part of a larger economy. So, in that sense the solar power industry is supporting the larger economy, but the perception has been too often that solar power needs to be supported and that it doesn’t contribute to other sectors. In this case, we clearly see that it does support other industries and will continue to do so as it expands. That is to say, the solar power industry is not a marginal one that only eats up continuous government support. It is one that adds economic value to national economies and the global economy. Researchers at Oregon State University are experimenting with ways to generate electricity using thermal solar materials. They are working with a process that changes strontium carbonate into strontium oxide and carbon dioxide. The strontium carbonate decomposes, but when the materials recompose they release stored heat. “In these types of systems, energy efficiency is closely related to use of the highest temperatures possible. The molten salts now being used to store solar thermal energy can only work at about 600 degrees centigrade, and also require large containers and corrosive materials. The compound we’re studying can be used at up to 1,200 degrees, and might be twice as efficient as existing systems. This has the potential for a real breakthrough in energy storage,” explained Nick AuYeung, an assistant professor of chemical engineering in the OSU College of Engineering. The materials that are being used are non-flammable and potentially cheaper than those currently used by CSP, though recent successes in using the new materials have occurred only in lab environments. If you are familiar with concentrating solar power, you know that it has been proven to work in real-world solar facilities. The costs of construction can be high, so this OSU research might be helpful in bringing them down. Also, the solar thermal material currently used — molten salts — has some limitations. 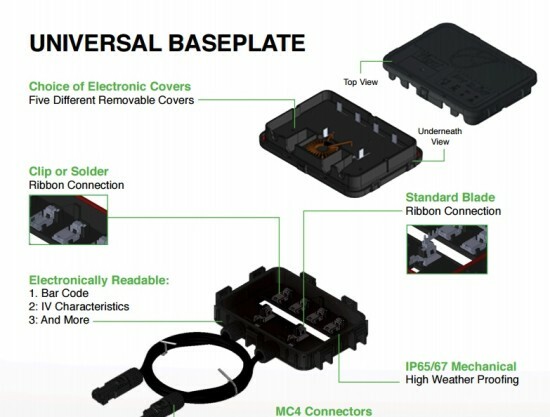 AuYeung said they typically can be heated to 600 degrees Centigrade, but the material he is using can be used at 1,200 C, which means it could be twice as efficient. 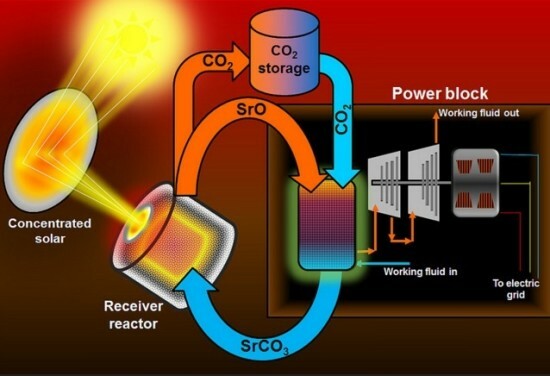 Imagine being able to store about twice as much energy in the form of heat at a concentrating solar power plant. At that higher temperature, it might also be used to heat air and steam to turn turbines which generate electricity. If you haven’t heard of concentrating solar power, you might have at least noticed some flurry of news stories about solar power killing birds. However, most of those stories were very sensational and grossly exaggerated the number that were killed. Reportedly, Germany has 35 GW of installed solar capacity and that could grow fairly soon to 52 GW. For the sake of comparison, the US has about 22 GW. A new analysis states that Germany could surpass its current level of installed solar with no problems, providing that one condition is met. You might have guessed what it is: more energy storage. In fact, the report says Germany could have 150 GW of solar capacity with 40 GW of energy storage. We might expect that energy storage in Germany is entirely new and mostly a future-oriented technology. However, it has been documented that 15,000 German households already have PV-battery systems. One prediction has stated that there could 100,000 battery system installations per year by 2018. If there are 300,000 German PV battery installations in the next ten years, how many GW is that? “Scenarios with 150 or 200 gigawatts of photovoltaics in Germany, which were until recently considered by many utterly unrealistic, are technically and economically possible. Rather than focusing on electricity sales, energy businesses will need other products to serve customers who produce and store their own power,” explained Dr Patrick Graichen, director of Agora Energiewende. One scenario that seems to be implied with the potential explosion of energy storage is the producing, storing and selling of electricity by homeowners. If electricity markets can expand to allow homeowners to sell surplus electricity back to the grid, payback periods for PV and battery systems should be shortened. Clearly, if that could happen, the reduced payback time would be another incentive. The rapid expansion of solar power in Germany was done to help the nation achieve of a goal of 80% renewable electricity by 2050. At the inception, it wasn’t clear that energy storage in the form of batteries would be available like it is now and going forward. So you could argue, the whole renewable energy transition was not entirely envisioned, but somehow the missing piece — energy storage — began to emerge. Will there be a third major technological piece of the puzzle that will also begin to appear on the scene, as a response to the first two? EVs might replace all fossil-fuel vehicles, but electric vehicles have been around for a long time. Is there a new technology that we aren’t aware of yet that will be created in response to the renewables and energy storage combination? A 137 MW DC or 105 MW AC solar power plant will be developed at Springbok 1 Solar Farm in Kern County, CA, about 70 miles north of LA, by 8minuteenergy Renewables. A power purchase agreement was signed by Southern California Public Power Authority (SCPPA) and 8minuteenergy Renewables, a leading American solar power developer. The new solar power plant will be a distributed utility-scale facility on about 700 acres of farmland that has not been used for 20 years. This last detail is important, because sometimes critics of solar power say solar power plants use land that could have been better utilized for other other purposes. In this case, locating a solar power plant there is a beneficial arrangement. Plant operations are expected to begin in June of 2016. Of course, the plant will have many PV modules, but it will also utilize sun tracking systems to boost electricity production. An estimated 700 jobs will have been created by the time the project has been completed – either directly or indirectly. Most of these will be for the construction phases. The electricity generated by the plant will be used in Los Angeles, which is already a leading American solar city with a solar power capacity of 140 MW. California imports electricity from the Pacific Northwest, burns natural gas, has its own hydro power and some nuclear. Increasingly, renewables have been contributing as well. In fact, the Golden State has a goal to be running on 50% renewables by 2030.